Others tell it better than we can! Read the article below from The Daily Texan, and watch the videos and the short film, Sign Language. Take a look at the vintage and custom signs for sale, there are some good ones. Thanks for stopping by! Evan was written up in the January 8, 2011 issue of The Daily Texan, written by Julie Tran. When local sign maker and artist Evan Voyles was a boy, his favorite sign was the Terminix bug. Perched on a pole at the intersection of 12th Street and Lamar Boulevard, the bug fascinated Voyles with its big, glowing lightbulb eyes, metal antenna and huge wings. “It would turn, and it had an up lit in that kind of nemesis way,” Voyles said. Voyles, 52, said he remembers getting pizza from across the street with his father, and then asking his dad to drive their Peugeot 404 around the block again and again to look at the life-sized insect. With the sunroof open, the bug looked like it was out to get them — and that was thrilling, he said. That sort of thrill is what Voyles said he hopes to give Austinites as they drive or walk down South Congress Avenue. From the Homeslice girl throwing pizza dough in the air to the cowboy roping while riding a rabbit on top of Uncommon Objects, Voyles amplifies the quirks and spectacles of South Congress with his one-of-a-kind neon and vintage signs. Voyles has made at least 500 signs with The Neon Jungle, the company he named after what his mother used to call Burnet Road in the mid-1950s, when it had raunchy neon lights. Shops with Voyles’ signs include Yard Dog, Stella Blue, Woodland, Maya Star, Hotel San Jose and his wife’s boutique, Blackmail. Five Seconds from The Daily Texan on Vimeo. Watch Evan's PechaKucha presentation to find out! PechaKucha Night Vol.08 _ EvanVoyles from PechaKucha Night Austin on Vimeo. 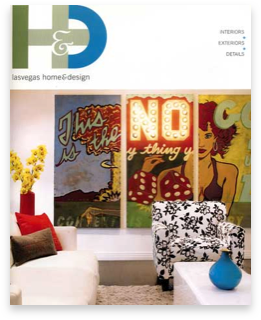 Context is Every Where as seen on the cover of Las Vegas Home & Design magazine. Now in private collection, Las Vegas NV. 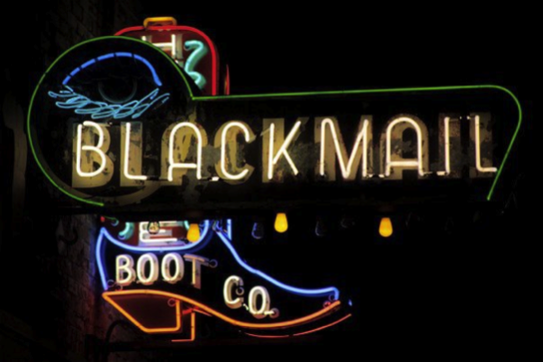 Blackmail and Heritage Boots, two of Evan's signs that grace South Congress Avenue in South Austin, Texas. Speed Shop, Machine Shop. 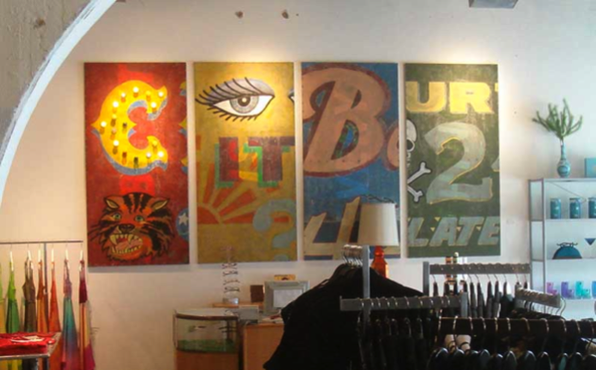 Take a look at our custom signs, vintage signs and commercial signs. When you are passing through Austin International Airport look for Evan's neon Gibson guitar. Subtext is Everything as seen on MTV's Real World and Austin Monthly magazine.